The Women's Kiln Hoody is our do-it-all top for the serious female hunter. The successor to our best-selling Artemis, this piece is constructed of Midweight 250 Merino-X fabric for improved fit and durability. Perhaps the most versatile base layer component within the First Lite layering system, the Women's Kiln Hoody simply cannot be beat as a do-it-all top for any outdoor enthusiast. With its 250 gram Merino-X fabric, this piece can be either your first or second layer and will keep you comfortable and odor-free from September through May. I really like this top. Got a medium, am normally a 4-6, but sized to a medium based on reviews and was glad I did. Small would have been too tight. Extremely comfortable, and I really like the hood, very warm. I had to wash it once because I got a bit of coffee on it, and it did have an unusual smell for awhile after, like wet wool and ink (and I followed the instructions for washing to a T). So, I would avoid washing it too much if you are using it for hunting, and just keep it in your kit. I wear a form fitting baselayer under because even though the wool is soft, it irritates my skin a little with direct contact. It is not as heavy as I initially anticipated, but I really like it as a comfortable second layer for early season, or under a heavy jacket for late season. Would recommend, especially for early bow season. Medium fit well, bigger in chest than waist, and form fit was good. This hoodie hits the spot for me—it's great on a September day in the high 40s/low 50s as a standalone, and it's great as a layer on a snowy day that hits the teens or lower. I really like the thumb holes, and personally I like the fitted hood—when it gets chilly, I can pull the hood over my head and zip it up, then put a hat on top of it. It's really wonderfully versatile; I haven't overheated in it, but have also worn it hiking 4 miles after sundown with the temperature dropping, and it kept me warm that whole way with no other layers. This hoody fit great in the body and has a lot of great characteristics, but I just could not get past the tight hood. The hood was waaaay too tight for my liking and had too small of an opening for my face once it was zipped all the way up. I wear glasses and this hood pressed on the sides of them so hard it just felt super awkward. I completely understand the intended purpose of the design but it didn't work for me and I had to return it. If I wanted something like a balaclava, I would order a balaclava. I would give anything to have a hoody just like this, but with a slightly more traditional or looser/larger fitting hood. I hope First Lite will come out with other styles of hoodies for us ladies. Hood was way too tight and small.. And I don't even have that big of a head lol. With fall coming I dread the cold sidelines of football and lacrosse games. My husband bought the Kiln Hoody for me and I love it. Form fitting and very warm. Worth the money. I used this hoody on my recent eastern Montana white tail hunt, and the merino proved perfect in every way. Soft, comfortable, stink-free after 3 days use, and I was feeling great both using it as a layer in cool night conditions and as a shirt in daytime heat while waiting for my buck. This is my new go-to base layer/top--hands-down the perfect merino weight and feel I've worn (and I've worn scores of different pieces of different brands, but this is the best, no doubt). I am usually a small and ordered a small in this kiln hoody. Perfect fit. I am long armed, broad shouldered, but thin, and it is perfectly fitting yet no bag or sag, no binding. Just right. The Artemis Hoody is one of my staples; I wear it all the time--hiking, hunting, fishing, skiing, to work, travel, everything. It's wearing out, so I decided to replace it. I was a L i the Artemis and it fit great--close fitting, but not tight, and able to get a few layers underneath. I ordered the L in the Kiln and it's skintight--not in any way comfortable for me, but more like trying to put on a wetsuit. I'm going to order the XL but the L fits so small that I'm worried the XL will not be big enough. Beyond the sizing, it looks great and I'll be bummed if I can't find one that fits. I'm also a L in the puffy jacket, which fits me great as well. Runs much smaller than the Artemis. Just ordered this for my wife in fusion, the fit is great and diversity range of the material makes it a great all around to skin piece. She instantly started shopping for more, and can’t wait for more testing. Arms are nice and long. I could not believe how comfortable this was when I put it on! I had to double check the tag because I wasn’t sure if there was actually wool in the material at all. It’s verrrrry warm, perfect for crisp morning stalking and cool nights at camp. I’ll be buying this in more colors to stay warm while I’m just out and about this winter. BUY THIS! It’s worth every penny. I’m tall and slender, usually wear women’s small tops and bottoms but I order medium in tops from Firstlite for the fit in torso and arm length. This fits so well, it keeps you warm even in 35 degrees (maybe colder but i haven’t tried). It is so nice!!!!! It fits great. I'm actually a small guy (so small that even the smallest men's sizes are usually too large), so I often have to use youth or women's gear. I have two Artemis hoodies (fusion and cipher) that I use for hunting and I wanted to get another in a solid color for mountaineering, so I decided to try this new design with spandex. I just used it for a 3-day adventure and it's the perfect base layer. It felt great in temperatures ranging from 30 F - 80 F, kept me less sweaty than the Artemis, and fit comfortably without stretching out of shape after several days. I also appreciate the masculine color options, like conifer. It doesn't make me look feminine despite being a women's hoody. If it's ever offered in "dry earth" or "golden", I will definitely buy another one. It's much tighter than the Artemis, which isn't surprising with the addition of spandex. That seemed to help it function better. I have mixed feelings about the form-fitting hood. It's very warm, which is ideal, but when I had a hat underneath, it shifted around on my head when I was moving a lot. Well made and fits great. 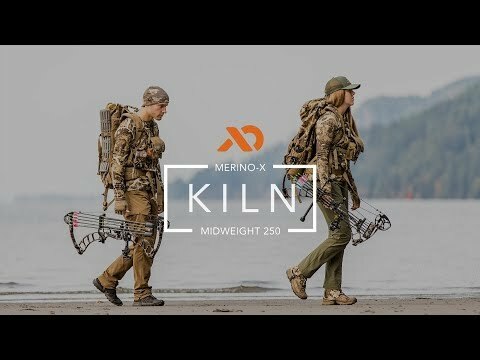 I’ve used it backpacking and fishing and am looking forward to using it to hunt in. It’s really an item I’ll use year-round. My only regret is not getting more than one! 4 stars only because I have not yet tested it in super cold weather. Coldest was 30 degrees and it kept me warm. Bought to take to WY, have since decided to wear if for everything. Walking,hiking,running on chilly damp mornings work around the cabin, lounging around the house. Can’t wait to order more! The women's Kiln hoody is the new and improved version of our discontinued Artemis hoody. 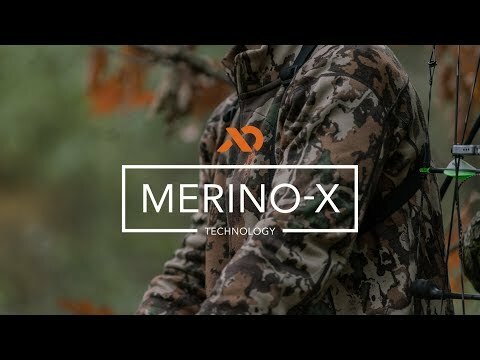 The Merino-X has a 5% spandex component that makes for consistent fit no matter how many days you wear this in the field without washing. This is the first piece in my kit once temperatures cool mid-season and it stays my go-to piece throughout the Fall and Winter. I use it for everything: hunting, fishing, mountain biking and skiing.